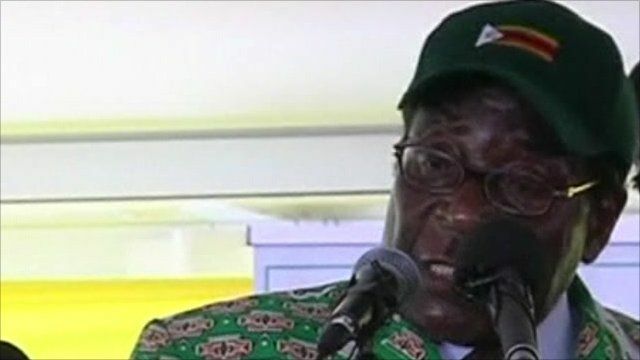 Zimbabwe's President Robert Mugabe says his country will nationalise all US and UK companies operating in the country unless Western sanctions are removed. He told his Zanu-PF party's annual conference it was time to fight the sanctions imposed on him and party leaders. 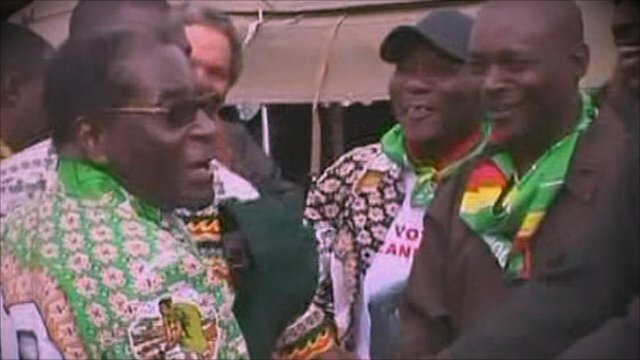 Mr Mugabe also said it was time to end power-sharing with the party of Prime Minister Morgan Tsvangirai. The agreement with the MDC, struck in 2008, is due to expire in February. Mr Mugabe said he would push for elections early next year.